Jobi McAnuff's stunning strike rescued a point for Leyton Orient as they drew 1-1 with Yeovil at Brisbane Road. 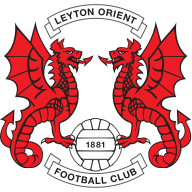 Jobi McAnuff rescued a point for Leyton Orient with a stunning strike in a 1-1 draw with Yeovil at Brisbane Road. 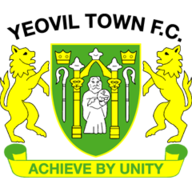 A dire first half lacked quality but the breakthrough came in added time when the Glovers took the lead after defensive horror by the home defence. Orient midfielder Jack Payne was stretchered off after a tackle and seconds later a cross from the right by Iffy Allen took a ricochet but a poor header by Jean Yves Mvoto allowed Francois Zoko to head home from close range. The O's left the field to a chorus of boos from their fans but it was not until the introduction of substitute McAnuff that home spirits were raised. He joined the action in the 55th minute and immediately acted as a catalyst for the home side's revival. In the 74th minute he unleashed an unstoppable drive from 30 yards that flew into the net. Despite a lot of huff and puff, Orient failed to find a way past a resilient Yeovil defence.